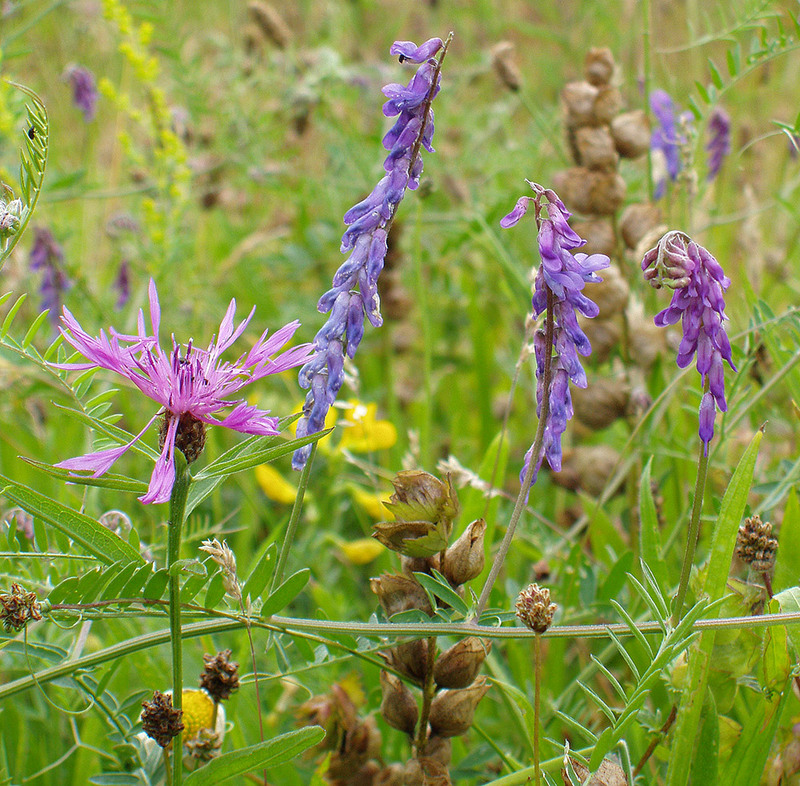 This conspicuous plant with a showy heads of violet-purple flowers is commonly found scrabbling through vegetation. It climbs by means of branched tendrils found on the ends of its ladder like leafs which are divided into 8-12 pairs of leaflets. 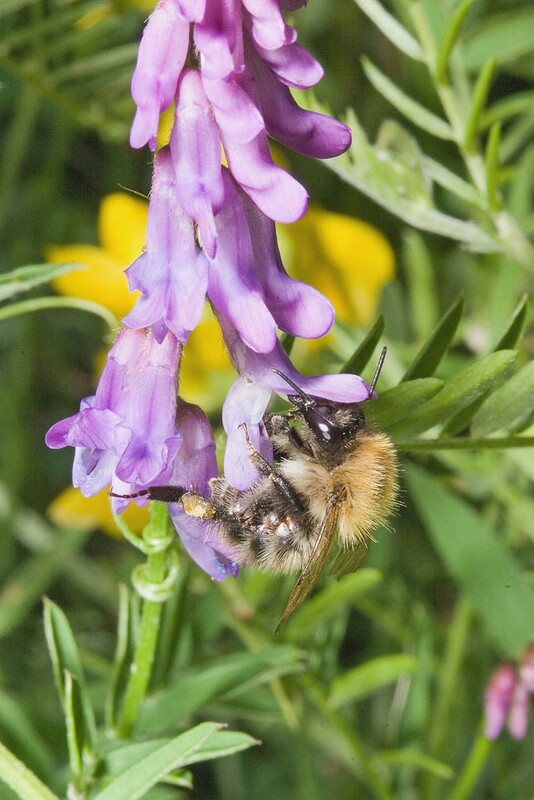 It can be identified as a true vetch (Vicia) by not having a winged or angled stem which would be the case were it a pea or vetchling. 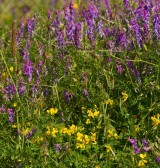 Tufted vetch is a scrambling perennial of hedgerows, woodland edges, rough grassland and river banks. 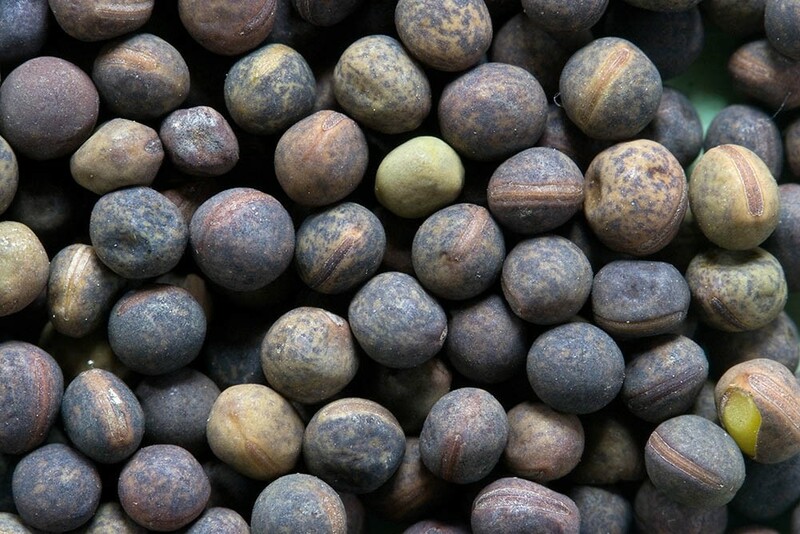 It has a preference for reasonably fertile, damp soils but is intolerant of permanently damp sites. 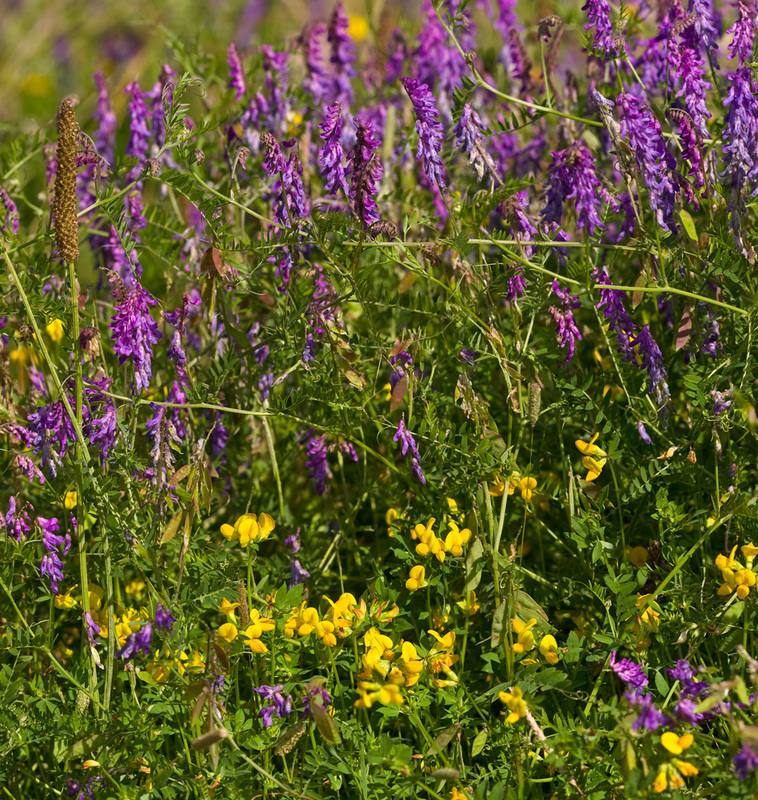 It has limited capacity for vegetative spread and is mainly reliant upon it large seed for regeneration, this coupled with its need of surrounding vegetation for support means it is rarely found in pasture or mown grassland. 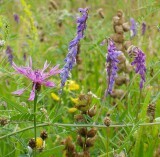 It can, however, become established in meadow, particularly those cut later in the season. 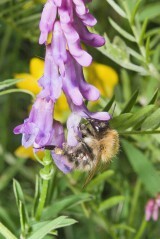 Tufted vetch is pollinated by bumble bees and other large bees.